SWNS is now the largest independent press agency in the UK with 13 offices spanning the UK, but we started out in Bristol as South West News Service, where our head office still stands (together with our corporate photography bookings desk). 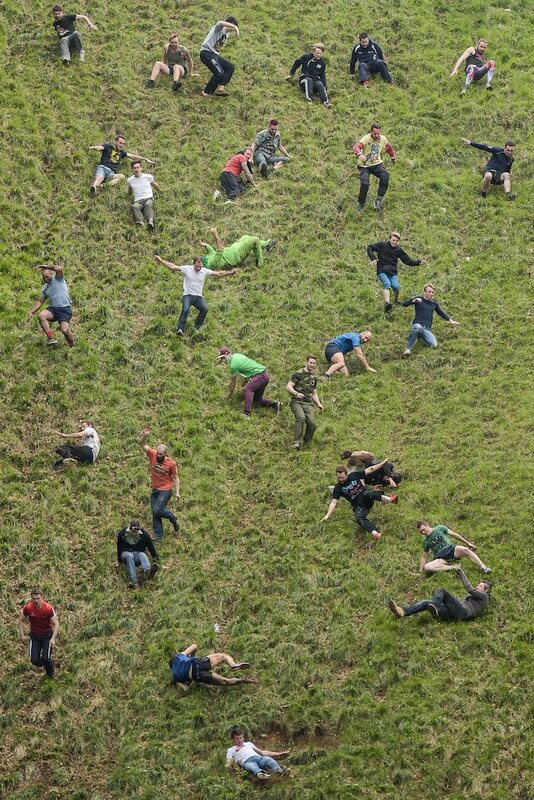 Since our inception in the early 1970s, SWNS photographers have been capturing the annual Cooper’s Hill cheese rolling and wake event for publication in the national press. It’s almost become as traditional for SWNS as it is for the villagers of Brockworth. 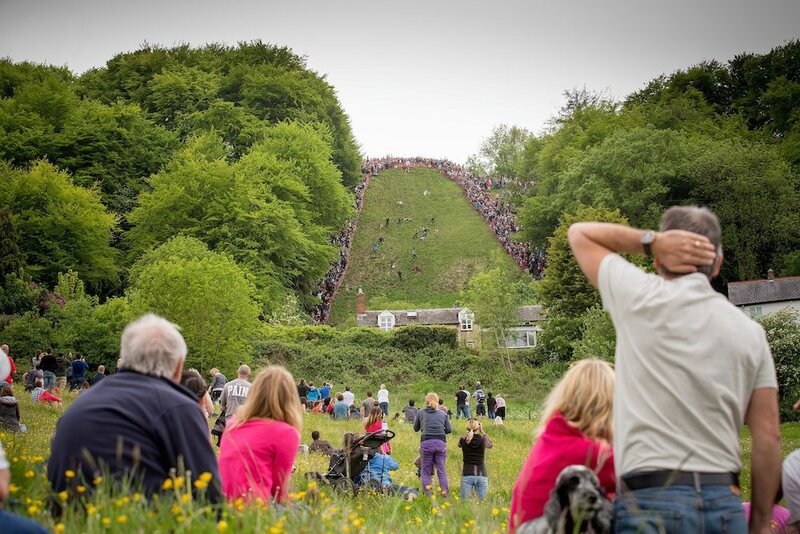 The Cooper’s Hill Cheese-Rolling and Wake is the annual event held on the Spring Bank Holiday at Cooper’s Hill, near Gloucester. 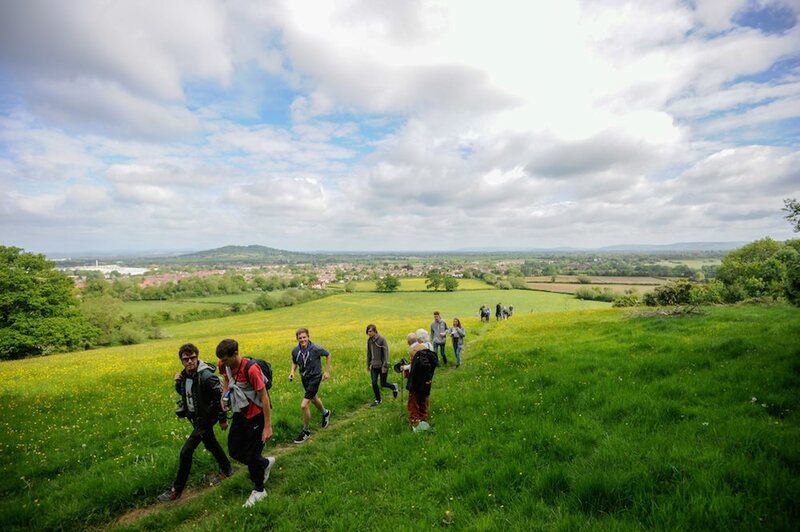 It was traditionally contested by residents of Brockworth village, but now people from all over the world take part. This year SWNS staff photographer Peter Summers went along to the even to capture the chaos. Although the close-up photos are always entertaining, Peter managed to capture some long-range shots using a powerful lens that provide an amazing overview of the entire race unfolding. We loved the long-range shots so much, they are our pictures of the week. 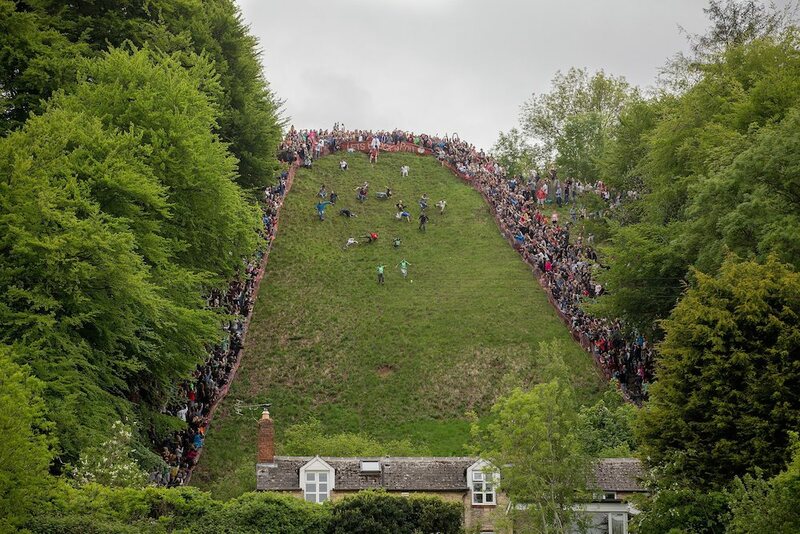 To cover the job Peter used a Nikon D3 with a 70-200mm lens for people on the lower part of the hill and he used a Nikon D810 with a 300mm lens to get the mayhem of the cheese being released. He also had a 16-35mm lens to photograph people being treated by medics once they got to the bottom! 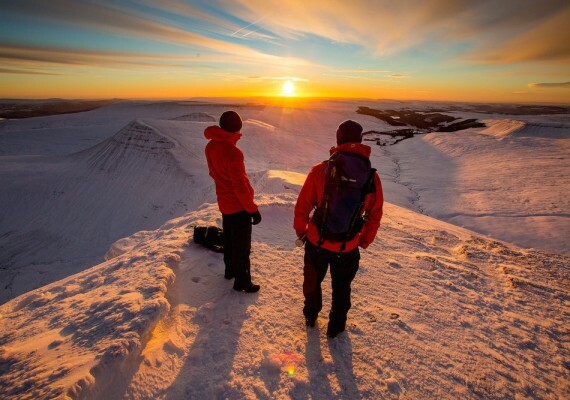 See more of Peter Summers’ images here. 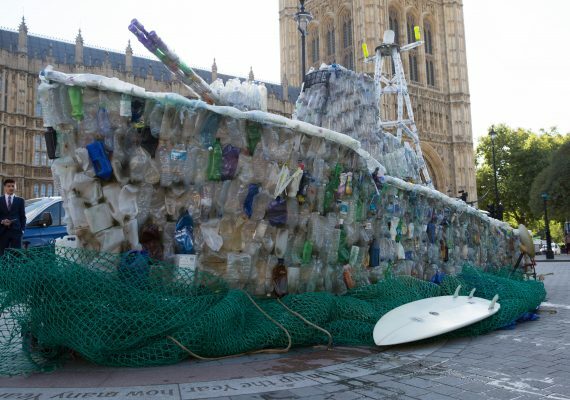 Campaigners from 38 Degrees and Surfers Against Sewage beach a boat made from thousands of plastic Read more! Another shocking clip posted on SWNS TV. Watch this cyclist being hit head-on by a stolen VW Golf. Read more! SWNS picture editor Jon Mills and award winning staff photographer Dave Hedges left their houses at Read more! 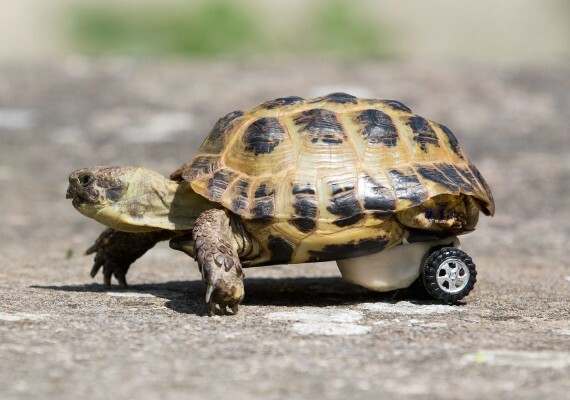 Owner Lisa Purnell shows off her pet tortoise, Touche, and his new set of wheels. The disabled Read more!